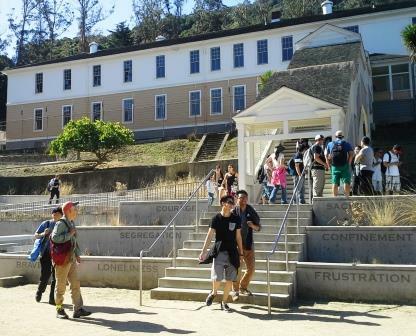 Angel Island Immigration Station Foundation (AIISF) | Support Us! Help us move from a history of exclusion to a future of inclusion. Support Us! Help us move from a history of exclusion to a future of inclusion. Lift the unheard voices of Pacific Coast immigrants, and celebrate their contributions to our society. Together, we'll help ensure our nation keeps its promise of liberty and freedom for all. Donate 100% - Add 3% so that 100% of the donation goes to Angel Island Immigration Station Foundation (AIISF). Angel Island Immigration Station Foundation (AIISF) has partnered with Network for Good to securely process your online credit card payment via Network for Good (tax ID 68-0480736). This transaction will appear on your credit card statement as "Network for Good." This transaction is subject to Network for Good’s Privacy, Security & Disclosure Statement and the Charitable Solicitation Disclosure.